50 best shops - TimeOut Shanghai. Huaihai Road - one of the two most famous shopping streets in Shanghai, China; the other is Nanjing Road. Compared with the more touristy Nanjing Road, Huaihai Road is more upscale, and is the preferred destination of local residents. IAPM MALL - since 2013. A luxury one-stop shop, with an endless list of fashion’s biggest names all taking. 999 Huai Hai Lu. 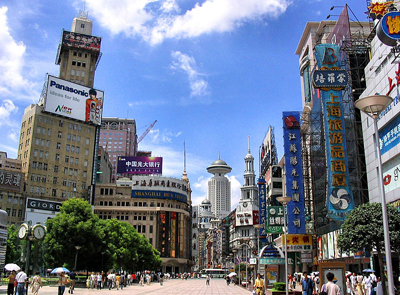 NANJING ROAD - the main shopping street of Shanghai, and one of the world's busiest shopping streets. THE BUND - waterfront area in central Shanghai. The Bund usually refers to the buildings and wharves on this section of the road, as well as some adjacent areas. It is one of the most famous tourist destinations in Shanghai. Building heights are restricted in this area. 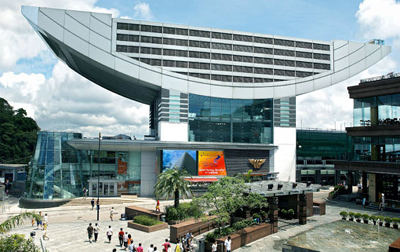 THE PEAK TOWER - leisure and shopping complex located at Victoria Gap, near the summit of Victoria Peak on Hong Kong Island. 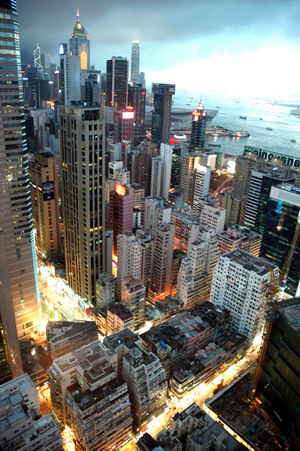 Causeway Bay - heavily built-up area of Hong Kong, located on the Hong Kong Island, and covering parts of Wan Chai and Eastern districts. The rent in the shopping areas of Causeway Bay was ranked as the world's most expensive for the second year in a row, after overtaking New York's Fifth Avenue (annual rent per sq. ft.: US$2,500) in 2012. Annual rent per sq. ft.: US$3,017. Hysan Place - shopping mall and office building at 500 Hennessy Road. TIMES SQUARE - major shopping centre and office tower complex. WTC | WORLD TRENDS CIRCLE - shopping centre and office tower complex. K11 - 18 Hanoi Road. 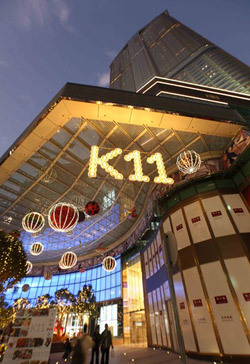 340,000-square-foot, 6-storey shopping center beneath the Hyatt Regency Hong Kong. Claims that it is "The World's First Art Mall". There are also restaurants on each floor of the mall, totaling over 20. 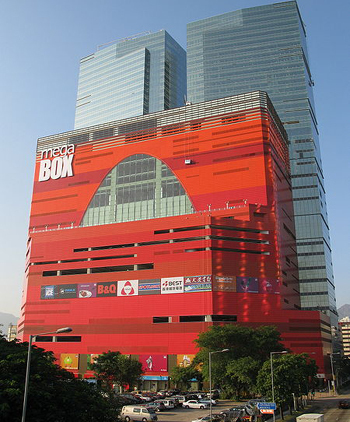 SOGO - one of the largest Japanese-style department stores in Hong Kong. DEPARTMENT STORES IN JAPAN - Wikipedia. MEIJI-YA - luxury delicatessen food store comparable to Fauchon in Paris, Fortnum & Mason in London. 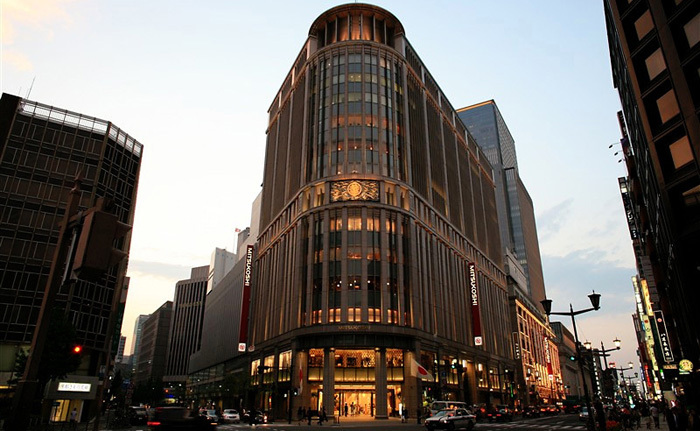 Mitsukoshi - international department store chain with headquarters in Tokyo founded in 1673. Tsukiji fish market - the biggest wholesale fish and seafood market in the world and also one of the largest wholesale food markets of any kind. The market is located in Tsukiji in central Tokyo, and is a major attraction for foreign visitors. 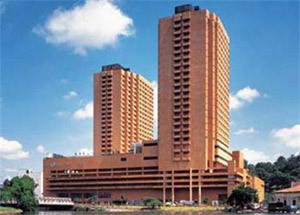 LIANG COURT - shopping mall located in the vicinity of Clarke Quay, on the Singapore River. 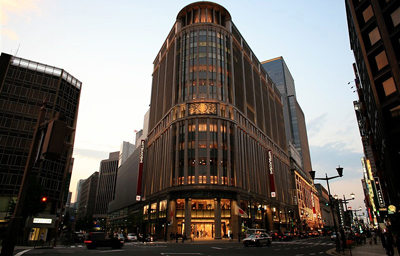 Galleria Department Store - two of the branches, namely Luxury Hall West and Luxury Hall East, both in Apgujeong-dong, Gangnam-gu, Seoul, are famous for their deluxe goods. CENTRAL WORLD - the third largest shopping complex in the world. PANTIP PLAZA - indoor IT shopping mall located on New Phetchaburi Road in Ratchathewi district. PLATINUM FASHION MALL - "Thailand Largest Fashion Mall." Shopping mall in Phetchaburi Road, next to Pantip Plaza and opposite Pratunam Complex. The clothes shops operate on the principle that buying 1 piece is a retail sale and warrants retail price, but buying 3 (or sometimes more) pieces is wholesale and you get the wholesale price. An example of pricing structure is 1 men's shirt retail 250 baht, 3 shirts wholesale 500 baht. 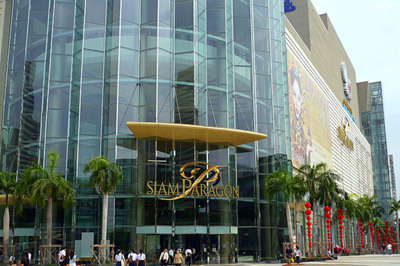 SIAM PARAGON - one of the biggest shopping centers in Asia. 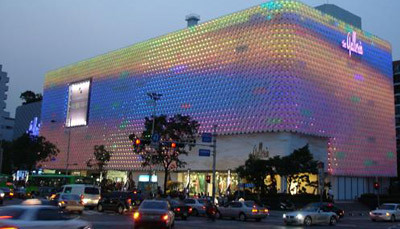 ZEN - upmarket Thai department store chain.